NACEDA had a busy year in 2017, adapting to the new federal landscape and keeping focus on the network's core mission: connecting and serving members, and leading the community development field in shaping and influencing strategies that advance community prosperity. 2017 saw the People & Places coalition* reunite to put on People & Places 2017, the premier peer learning event for community development. Over 600 placemakers attended 35 cutting-edge sessions and conducted over 100 visits to Congressional offices. Seeing an emphasis on racial justice and equitable development throughout the event, attendees made peer connections across 34 states and DC, got wind of the latest regulatory efforts from former Consumer Financial Protection Bureau Director Richard Cordray, and participated in a symposium on changes to the tax code to close the racial wealth gap. People & Places raised over $80,000 for scholarships aimed at grassroots participants. *National Coalition for Asian Pacific American Community Development, National Association for Latino Community Asset Builders, The National Urban League, the Network for Developing Conscious Communities, and NACEDA. NACEDA's Creative Placemaking Immersion Program roared to life in 2017. The Immersion Program is a National Endowment for the Arts-funded program to build knowledge of creative placemaking as a front-line community development tool for advancing equity in low- and moderate-income neighborhoods. Community development and arts partnerships from Massachusetts, Ohio, and Philadelphia delivered 26 knowledge-building experiences to 275 placemakers. Look to 2018 for NACEDA's findings from the program, including the three partnership's lessons learned for how community development networks can guide creative placemaking activities in your states and regions. 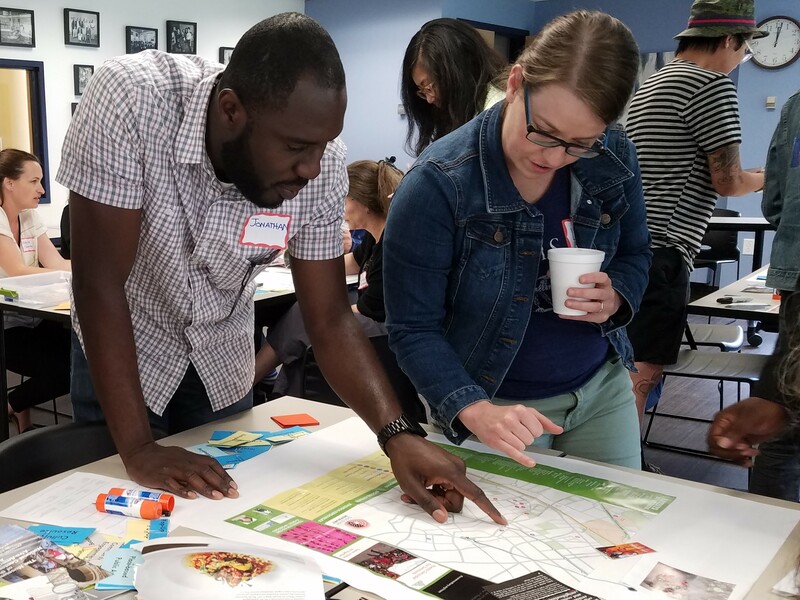 Following the success of 2016's Symposium on Community Development and the Social Determinants of Health, NACEDA launched the Healthy Places Partnership with Build Healthy Places Network and Community Catalyst in 2017. NACEDA conducted 30 interviews with members to assess the general state and needs of health and community development partnerships across the country. 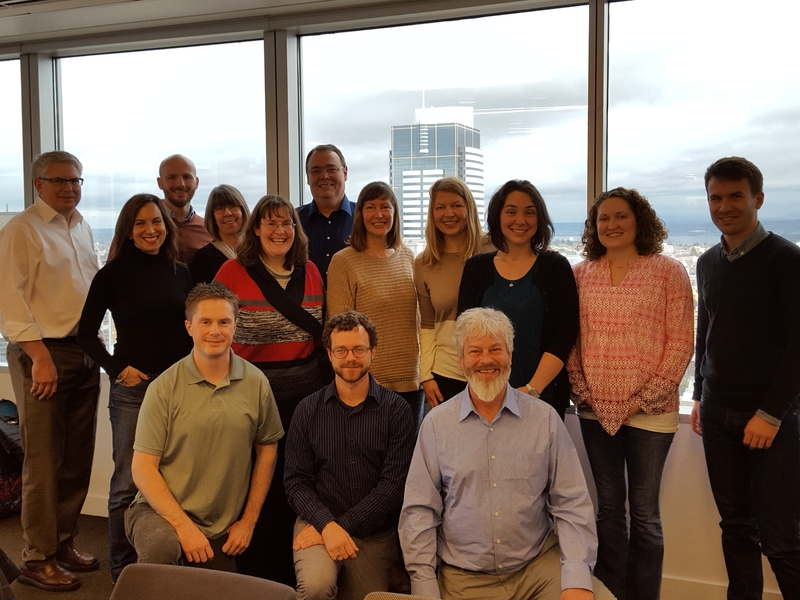 NACEDA paired training and technical assistance to members that aligned with identified needs, and is using the assessments to develop capacity building opportunities for members. In 2017, NACEDA continued to strengthen its member networks through the above opportunities, additional direct member services, and through brokered and self-initiated peer-to-peer assistance between members within the network. Highlights include: a Pacific coast regional caucus meeting, initiating four new peer groups within the membership, hosting a webinar on the unique role community development networks fill in disaster preparedness and response, and 16 staff trips to nine states to directly serve members and build network capacity. NACEDA 10th Anniversary Summit and Celebration: Mark your calendars for September 12-14 in Philadelphia, PA. Join your peers for a forward-looking Summit that builds your capacity to serve your members, focuses on the new challenges and opportunities facing your networks, and celebrates 10 years of your dynamic peer network in NACEDA. Amplifying Voices: At the Summit, NACEDA will release a provocative and forward-looking publication that will generate conversation in the community development sector. During 2018 regional caucuses, NACEDA will draw out themes and visions for the future from members' key conversations. Creative Places, Healthy Places, and Thriving Networks: We’re continuing to emphasize arts and health partnerships in 2018 – and will sharpen our ability to provide capacity-building and peer sharing for NACEDA members. Stay tuned, and watch the Creative Places and Healthy Places sections of the NACEDA website. States and Metropolitan Areas are the Laboratories of Democracy (and Policy): NACEDA will explore new ways in the coming year to support members in advancing your key community development priorities for your states and regions. 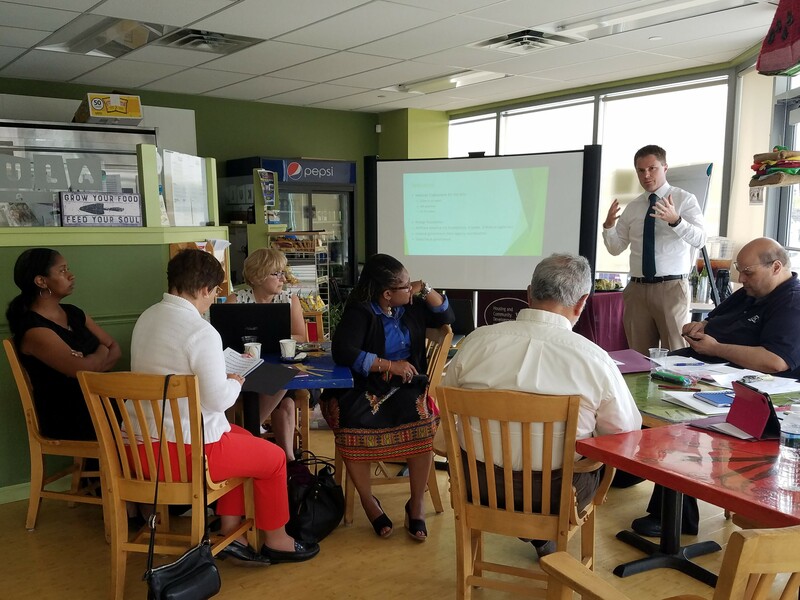 Showing the Impact of Community Development Networks: NACEDA plans to focus the next year on developing better ways to capture and showcase the impact this network has for members.